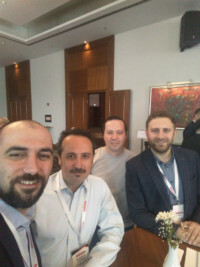 On 13.03.2019, we attended the “Intelligent Information Technologies Conference” organized by Bilişim. At the conference held at Ataşehir Marriott Asia Hotel, it was explained how the products produced by Bilişim provide benefits in constantly developing and changing technology. At the conference held at Ataşehir Marriott Asia Hotel, it was explained how the products produced by Bilişim provide benefits in constantly developing and changing technology.